VENICE, CA – Mick Blue and his MB Racing team took 3rd place this weekend at the World Racing League event at the Circuit of the Americas in Austin. Saturday’s race, the season finale for the US Endurance Championship (USEC) championship ring, found MB Racing in 5th place in their GP3 class out of 26 competitors and 24th overall out of 87 teams. 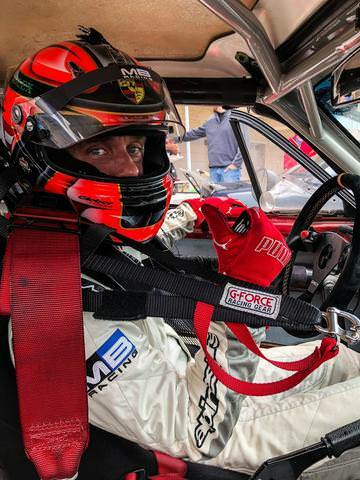 While Sunday’s race was delayed by nearly two and a half hours due to heavy fog, visibility improved and Mick was able to roll out the Mazda Miata 78 and completed his leadoff, 2-hour stretch before handing off the car to his teammate. “We were running between 3rd and 5th place for most of the race and with half an hour to go, we were able to push ahead and secure 3rd place for our team,” Mick said. Mick livestreamed the event from inside his car, giving fans the opportunity join him for every turn. For more information on the race and full results visit http://www.racewrl.com/. Check out Bad Dragon at www.bad-dragon.com.